Dueling Piano Kings is a highly interactive all-request piano show…where your requests rule! The primary duelers, Pat McGannon and Craig Learmont, have nearly a century of piano-playing experience between them, and can play and sing your favourite song, from classic rock, retro, to the latest Top 40 music! No two performances are ever the same! 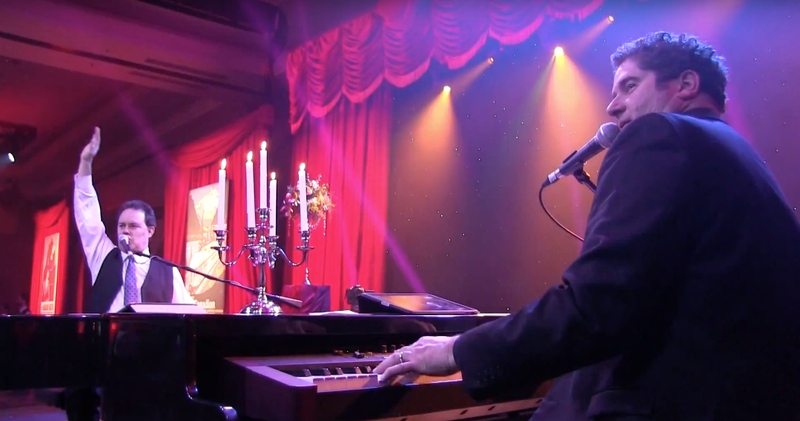 Dueling Piano Kings were the first winners ever at the 2017 Calgary Event Awards for “Best Entertainer”! They were also 2018 nominees for “Entertainers of the Year” at the Canadian Event Industry Awards, and “Best Entertainer” at the Calgary Event Awards. This duo is regularly selling out shows all over Alberta! They recently performed in the Scotiabank Saddledome for Calgary Roughnecks Home Opener and at the Calgary Flames Game on February 3rd . Later this summer they will perform in front of their largest audience ever at McMahon Stadium for 30,000 people for a Calgary Stampeders Game!